If you’ve ever lived in a home with a lot of people, you know that timing your hot water usage is key. OSGOOD, Ind. — If you’ve ever lived in a home with a lot of people, you know that timing your hot water usage is key: No showers while your roommate is doing laundry; no laundry of your own while she runs the dishwasher. There’s just not enough to go around. The Southeastern Indiana Rural Electric Membership Corporation on Friday asked its 27,000 members to consider a similar strategy when they used heat, water and electricity in their homes. In this case, it’s not that there isn’t enough for everyone. It’s that opting to turn on the stove, the lights or the washing machine during “peak” hours can be expensive and consume more energy than doing so at another time. Peak energy-use hours tend to be from 8-10 a.m., when people wake up and get ready for work or school, and 6-8 p.m., when they make dinner and prepare for bed. 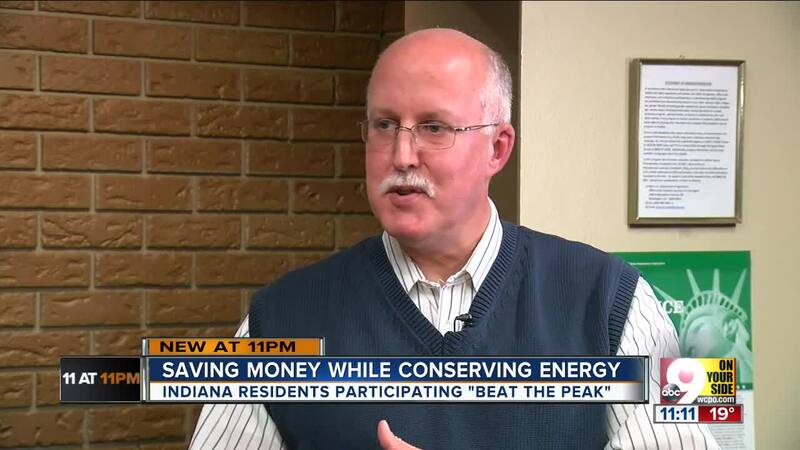 Doing those usual tasks a little earlier or a little later can add up to less energy usage and bigger savings, according to Mathews. That’s for anyone — not just members of the co-op. “If we can shave just a few kilowatt hours, take that times 27,000 accounts, that can reduce what we pay for power,” he said. Other ways to save money and energy include unplugging appliances when they are not in use, turning down the heat when you leave your home and washing clothes in cold water.